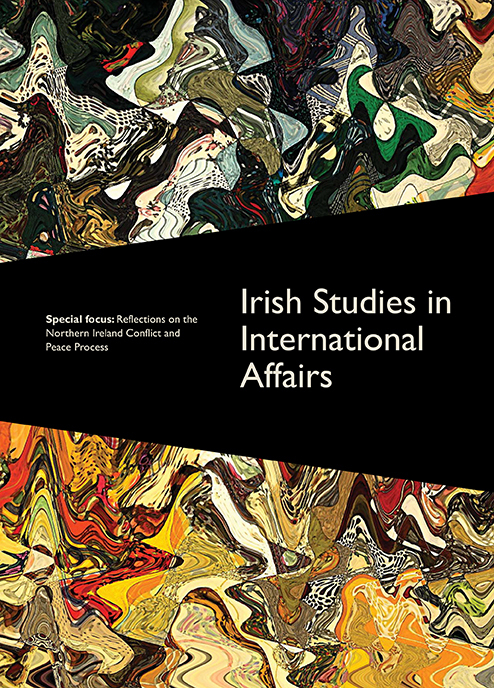 This special volume of Irish Studies in International Affairs has been produced by the Royal Irish Academy to mark the 20th anniversary of the 1998 Good Friday Agreement. The volume, which spans the period from 1994 to 2018, includes contributions from Martin Manseragh, Noel Dorr, Garret FitzGerald, Clodagh Harris and Adrian Guelke, among others. These selected articles explore some of the most important issues relating to the Northern Ireland peace process, from the origins of the conflict and its escalation to the basis for the Good Friday Agreement and why it was possible to negotiate it in 1998 and not in earlier years. Prof. John Doyle is Dean of the Faculty of Humanities and Social Sciences in DCU and the founding Director of the Institute for International Conflict Resolution and Reconstruction (IICRR). He has been the lead PI on two Marie Curie European Training Networks on the post-Soviet region (TENSIONS AND CASPIAN) and has taken part in several studies of comparative peace processes, including two EU funded projects, which brought academics from India, Pakistan, Sri Lanka, Bangladesh and Afghanistan together for a series of workshops, in New Delhi, Brussels and at DCU, examining both European examples such as Northern Ireland and the Balkans and South Asian cases including Kashmir, Sri Lanka, Nepal, the Indian North East and Afghanistan. He is Editor of Irish Studies and International Affairs and his work on conflict resolution and foreign policy has also been published among other places in the Journal of Common Market Studies, International Peacekeeping and Ethnopolitics. A delegation from the Royal Irish Academy, Highlanes Gallery and Louth County Council were invited for a courtesy call to Áras an Uachtaráin on 15 April 2019 where author Ned Mc Hugh presented President Higgins with an advance copy of Irish Historic Towns Atlas no. 29, Drogheda/Droichead Átha. On the centenary of the Amritsar Massacre read the DIB entry on Sir Michael O'Dwyer who was Lieutenant Governor of the Punjab in 1919, written by David Murphy. Kate O'Malley of the Dictionary of Irish Biography will be giving a talk on 'Irish Revolutionary Women and the Wider World' in Muckross House, Killarney on Friday 12 April. She will be looking at the later life of Charlotte Despard. Read Despard's DIB entry by Frances Clarke.